Hello, my chickadees! I hope you all had a fabulous weekend - it was beautiful here in Southern California, so I tried to spend as much time outside as I could! Without further ado, the winner of the Concrete Lace giveaway is... #28, Soy Pea! I will be emailing you in just a minute, you lucky winner, you! 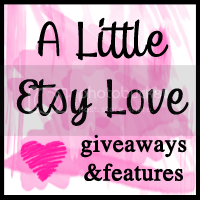 Thanks to all who entered and a BIG thanks to Concrete Lace for the generous giveaway!